2019-02-05 geographyAmusing Planet, Automobiles, Belgium, geography, Historical Oddities, society, SwitzerlandM.C. Back in the 1940s, Swiss engineers developed a new kind of zero-emission electric bus that used a large spinning flywheel to store energy rather than rechargeable batteries. The reason was simple—they wanted something quieter and cleaner, but most importantly they wanted a vehicle that wasn’t constrained by overhead power lines. 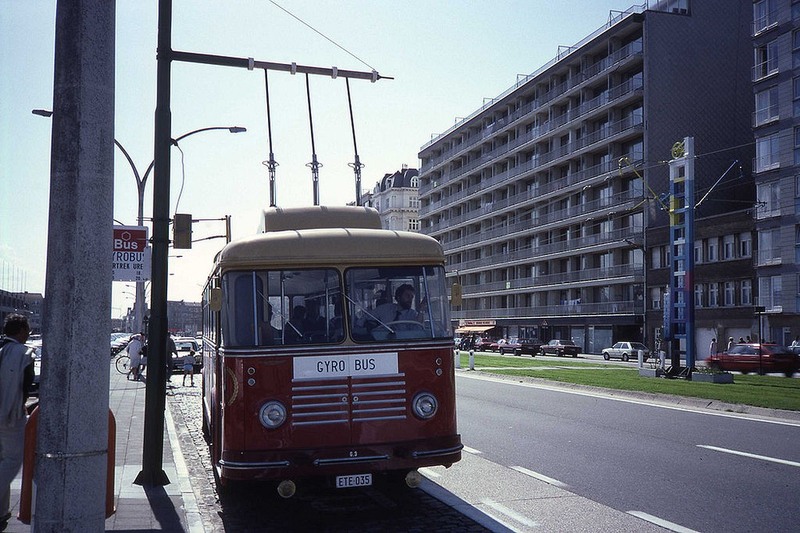 Many Swiss cities at that time had trolley buses as public transport that ran on predetermined routes powered by electricity. But rails restricted movement and running overhead wires over new routes were prohibitively expensive. Battery technology too left a lot to be desired, just like today. 2018-10-26 geographyAmusing Planet, Belgium, canal, geography, landmarks, societyM.C. A popular way to see the beautiful city of Bruges in Belgium is from a boat cruising along the city’s many canals. The historic city center is conveniently enclosed within an ‘egg’ encircled by canals allowing tourists to take a boat ride around the city center admiring the charming historic houses and churches. The city’s canals themselves are worth seeing, particularly the tree-lined Bruges-Sluis Canal or the Damme Canal. The canal is about 15 km long and connects Bruges to the Dutch border town of Sluis through the town of Damme. It was dug on the orders of Napoleon Bonaparte, and hence it is also called Napoleon Vaart, or Napoleon Canal.